The CICS and SQL front-ends are independent of the target database and TP monitor at hand. They produce calls to the Raincode Runtime, which can then redirect to different plugged-in implementations. Adding support for another database or another TP monitor is much easier than when an ad hoc precompiler must be provided. The CICS and SQL front-ends are independent of the target database and TP monitor at hand. They produce calls to the Raincode Runtime, which can then redirect to different plugged-in implementations. 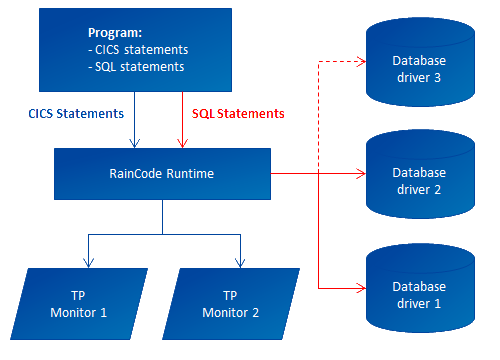 Adding support for another database or another TP monitor is merely a matter of writing a connector between Raincode’s Runtime and the database or TP monitor at hand. All the work required to analyze these syntactical extensions is performed by the compiler itself, reducing the effort required by full orders of magnitude when compared to writing the appropriate precompiler. 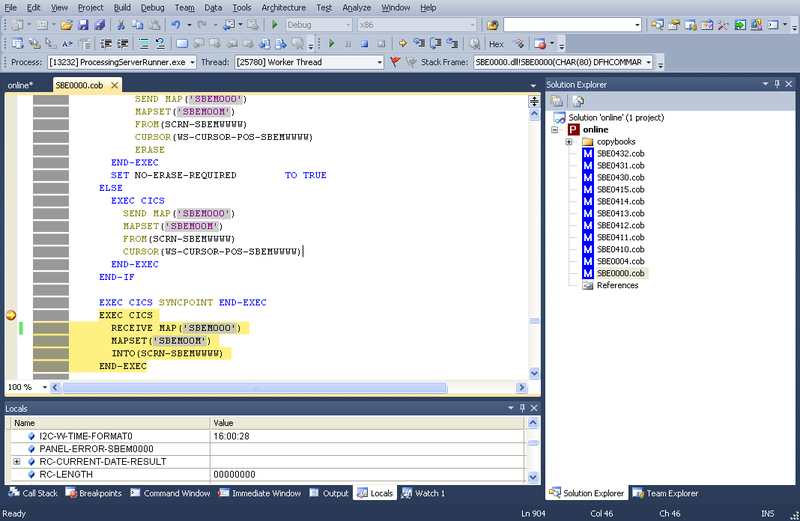 Raincode Legacy Compilers go even further in their transparent support of different databases. They provide the ability to recognize statements using DB2 idiosyncrasies and convert them to equivalent SQL Server code at compile time. Your legacy applications can then be moved off the mainframe, requiring even fewer changes to your programs.